I've been experiencing writers block on this blog for awhile now. I noticed I've been posting less and less, you may have noticed it too. I have had a great deal of change in the past few months which forced me to really evaluate some things in my life. 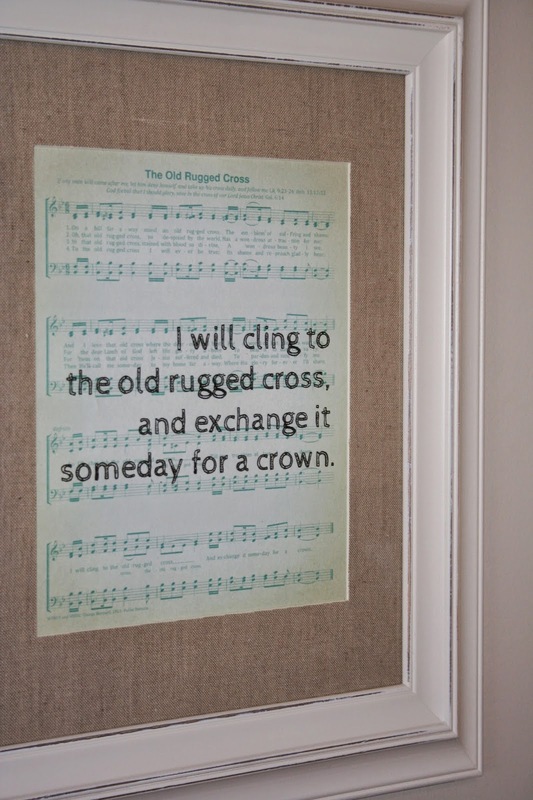 This time of introspection has been good for me but not too good for my blog. With spring right around the corner (hopefully!) I will get a burst of fresh energy and get back into blogging again. Is there anything you'd like to see more of? 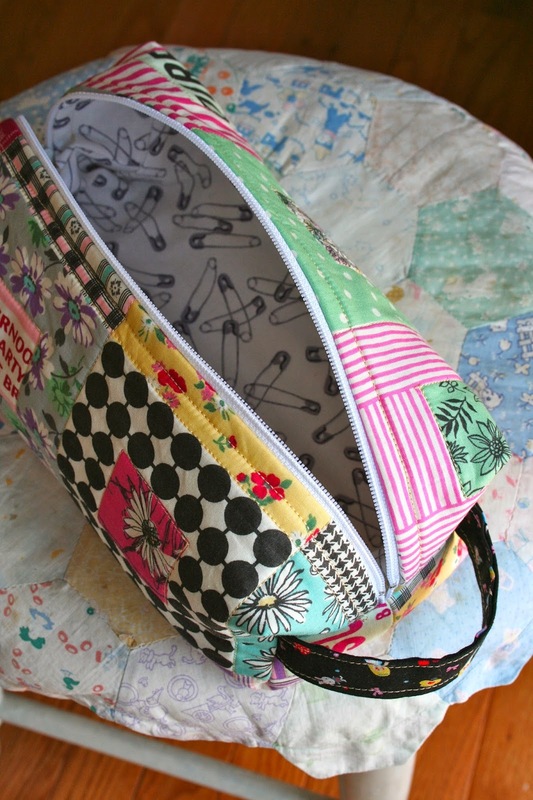 I made a little zipper pouch yesterday from a tutorial on the Pink Stitches blog. It was really fun sewing. I got over my fear of zipper sewing with this pouch and I can see lots more pouches in my future. It would make a great gift. This one is for my swap pattern, to hold some little gifts I have for her. I'm also sewing the binding on a big queen size quilt. Since it's a gift I can't show you the whole thing yet. 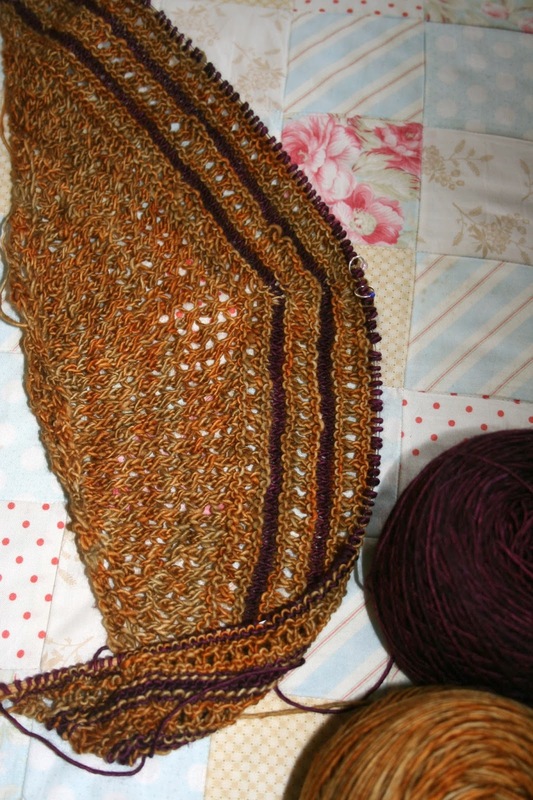 I am really enjoying the Romi Mystery Knit Along shawl. There is something about getting one clue a week that makes this so much more doable for me, and who can resist Madeline Tosh yarn? 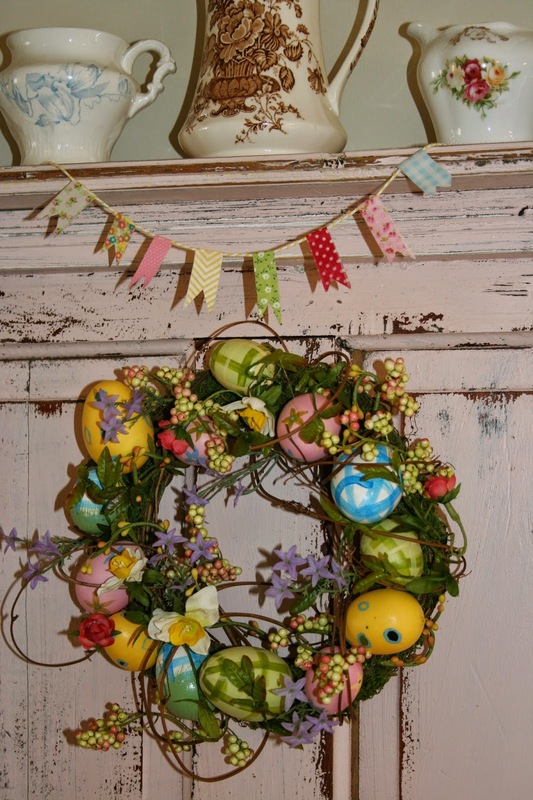 It managed to stay in the 50's for the past couple of days which inspired me to start decorating for Easter. Still no signs of flowers pushing through the earth but I'm hopeful they will show themselves soon. I hope you are enjoying your day and getting sunshine in your corner of the world! Hi, Renee. I don't comment often, but I do want you to know how much your blog means to me. Your work is so inspiring and beautiful. I love the way you share your heart for God. Thank you for opening your heart today. I love your pouch, the material on the inside is perfect! The pouch is adorable! I think I may just have to give one a try. 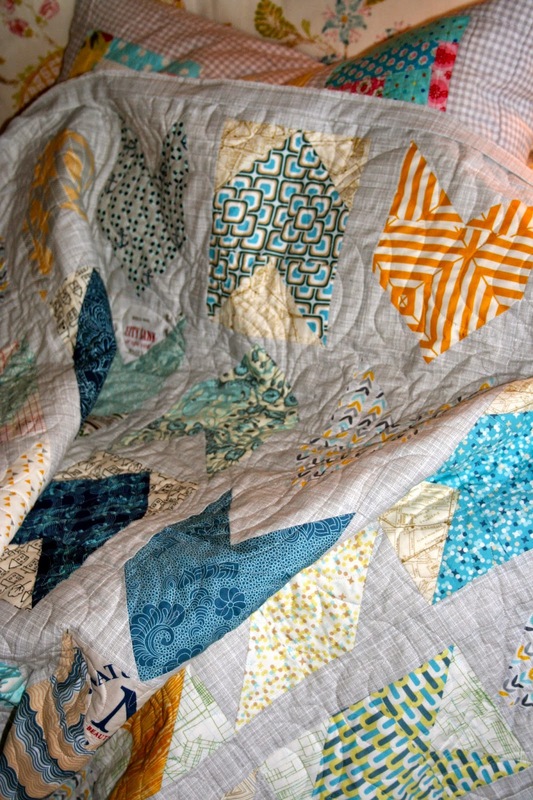 And I cannot wait to see the finished quilt. I am sorry to hear about the writers block. Winter seems to be never ending this year but I hope the arrival of spring will bring you much inspiration! Very sweet little pouch! Love the inside fabric. 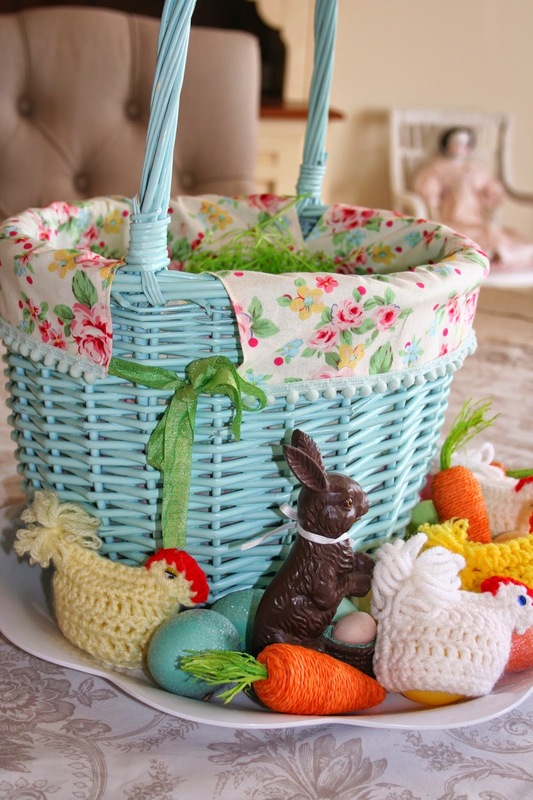 Did you make the little chicky egg covers by the basket? They are adorable! Have a happy day! I have noticed a lot of us slowed down in the last couple months. 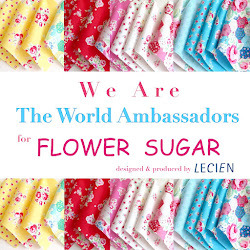 lets face it, there isn't a lot to write about when we are half hibernated and just waiting for spring! Glad to see you back! Did you make those little crochet chicken egg cozies? So cute! Lovely quilt. 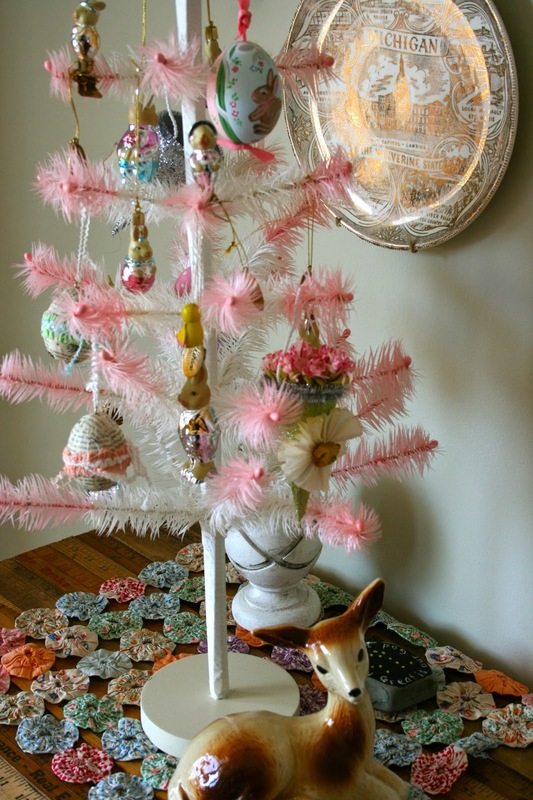 I love the little Easter decorations.